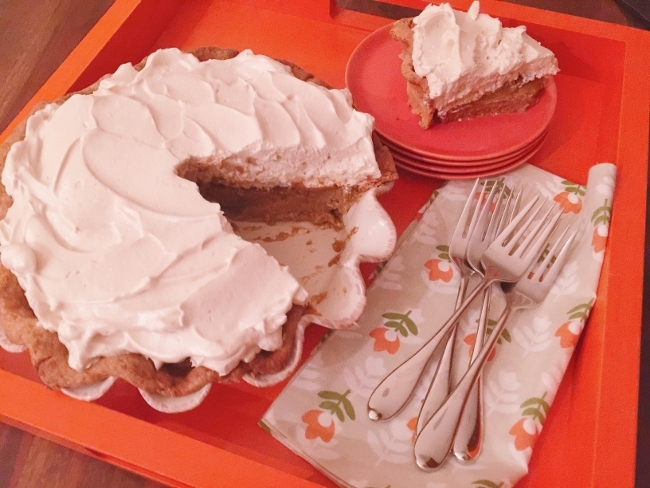 Pumpkin Pie with Brown Sugar Meringue - Recipe! - Live. Love. Laugh. Food. 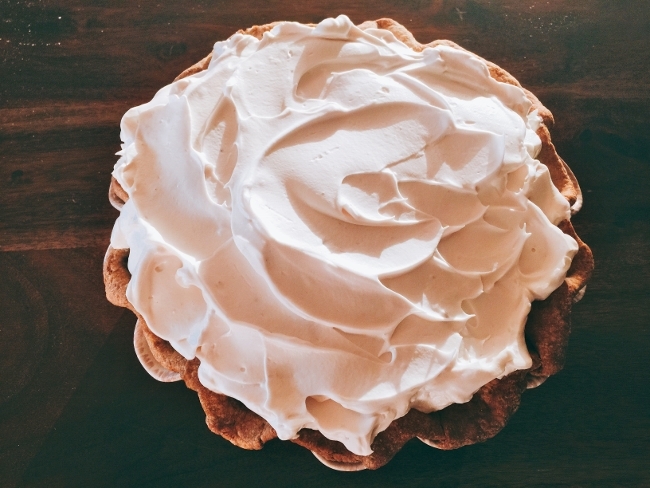 Pumpkin Pie with Brown Sugar Meringue – Recipe! Pumpkin pie is one of my favorite things at holiday time. I know it seems a little traditional, but I love the fall spiced custardy goodness. 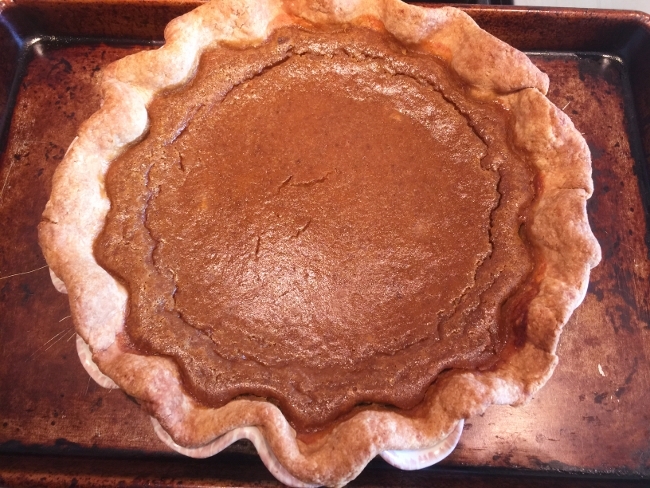 Pumpkin pie is easy to prepare and in this recipe, I add a little brown sugar meringue for a nice fluffy topping and I baked it in a whole wheat crust for an earthy texture. Pumpkin Pie with Brown Sugar Meringue is the perfect holiday dessert, but it doesn’t need to stop there. I like pumpkin in the spring and summer, when I start longing for fall flavored treats. Also, it makes a great birthday dessert for the pumpkin lover in your family. 1. Preheat the oven to 350 degrees. 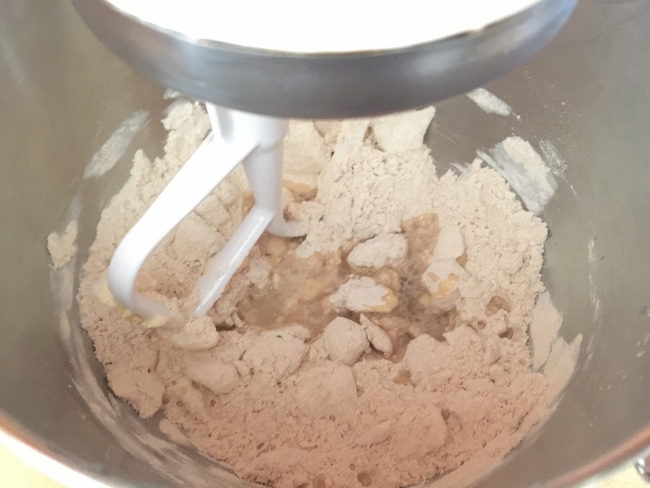 In a stand mixer or bowl, combine the whole wheat pastry flour, salt and butter. 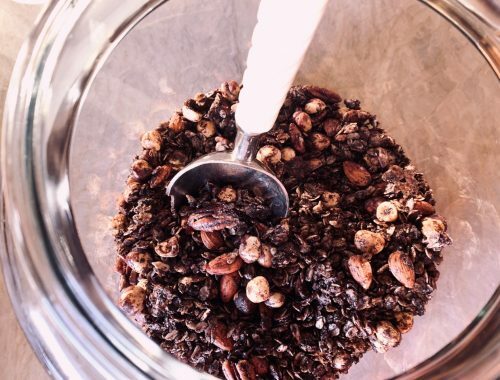 Mix on low for 1 minute, until the mixture resembles coarse crumbs. 2. Add the cold water and mix on low, just until the crust begins to come together. Dump out on the counter and form into a disc. Wrap in plastic wrap and chill for 30 minutes. 3. 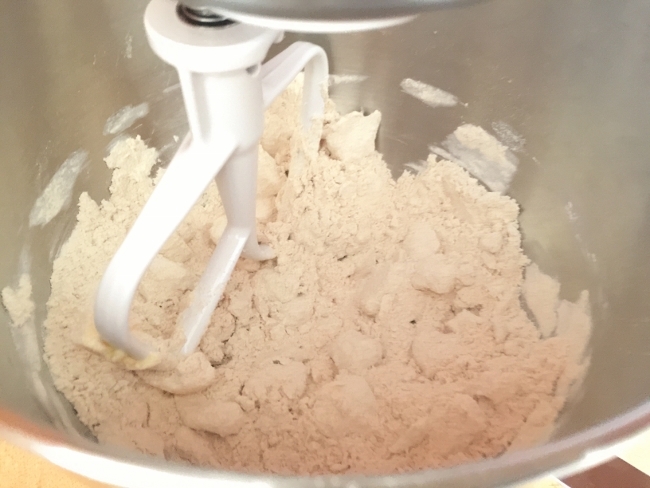 Unwrap the dough and roll out on a lightly floured counter. 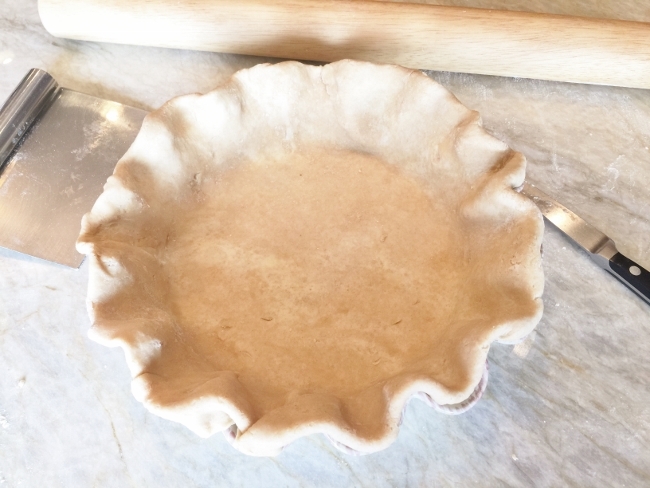 Roll dough around the pin and place in a 9-inch pie pan. Trim the edges and tuck under into the pan. 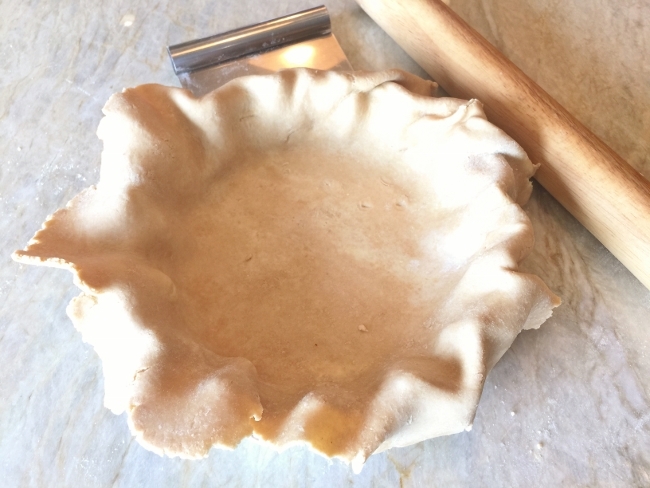 Flute edges with fingers and place the pie in the refrigerator, while you make the filling. 4. 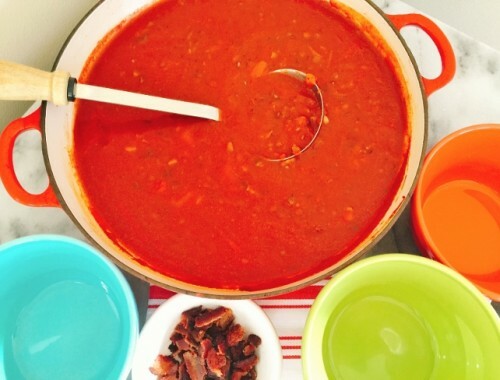 In a stand mixer or large bowl, add all the filling ingredients. Mix on low speed until combined, about 2 minutes. 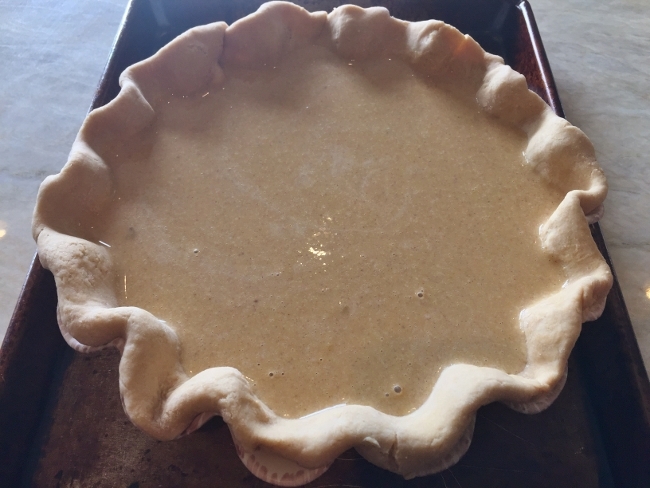 Remove the pie from the refrigerator and pour into the crust. Place the filled pie on a sheet pan and bake for 40-50 minutes, or until the mixture is set. 5. Remove the pie from the oven and let cool to room temperature, about 1 hour. 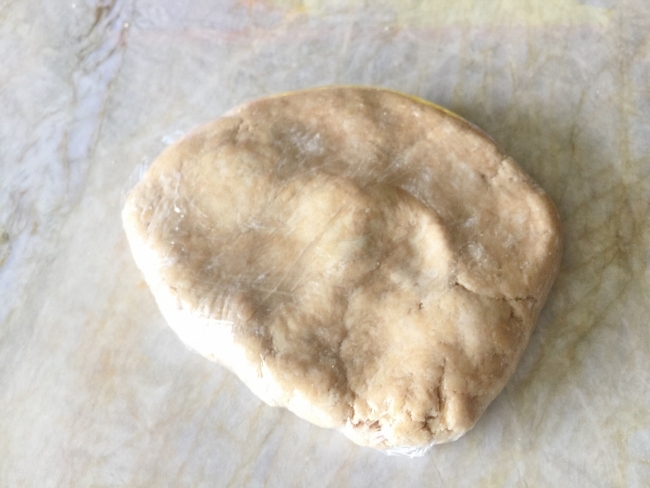 Place the pie in the refrigerator to chill for a few hours or overnight. 6. 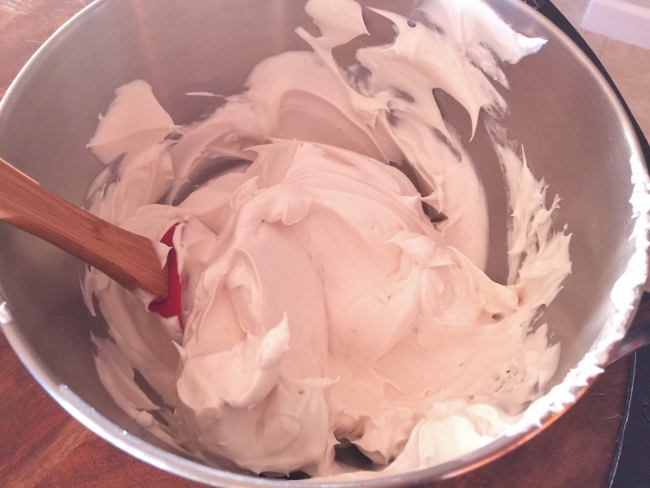 A few hours before serving, make the meringue topping. 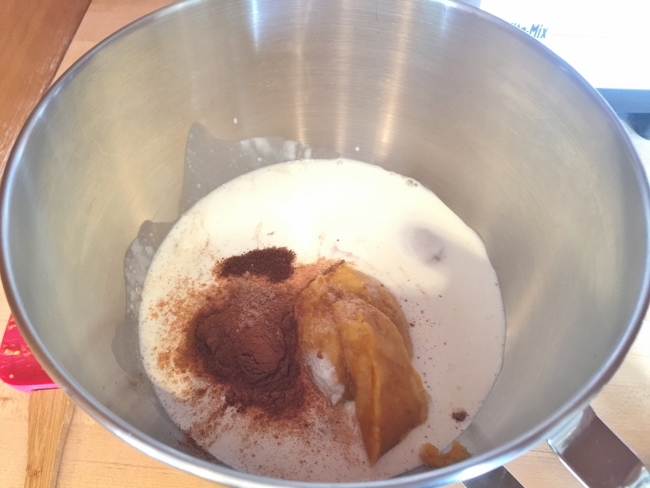 In a stand mixer, add the egg whites and cream of tartar. 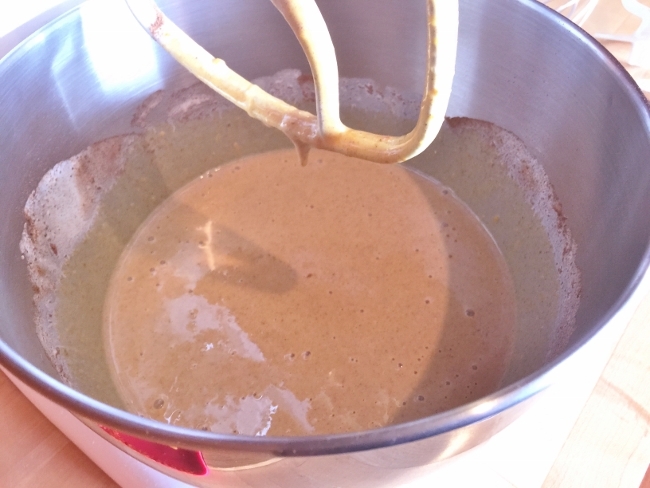 Whip until soft peaks and add the brown sugar. 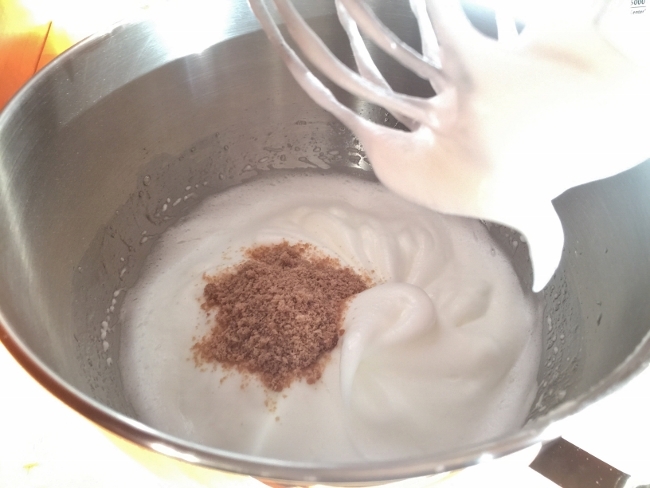 Continue to whip until light and fluffy, about 2 minutes. 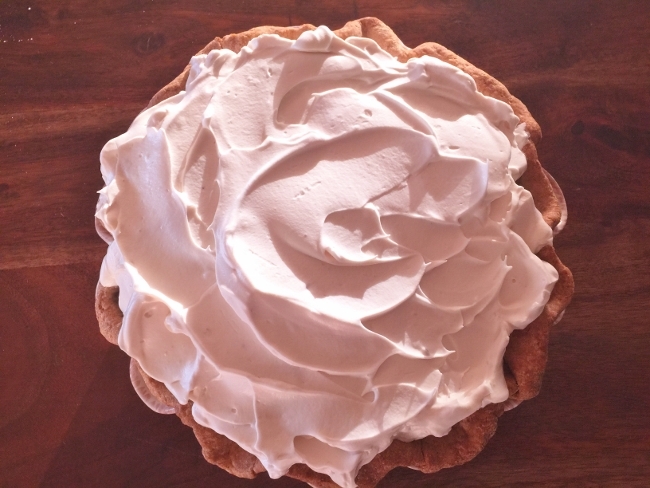 Dollop meringue on top of pie and spread evenly over the top with a wavy pattern. 7. Place the pie back in the refrigerator until ready to serve. Slice and enjoy! 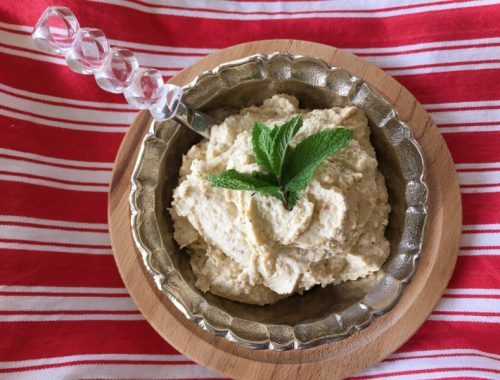 Chilled Artichoke Jalapeno Dip – Recipe!